Solid and ventilated options are available. 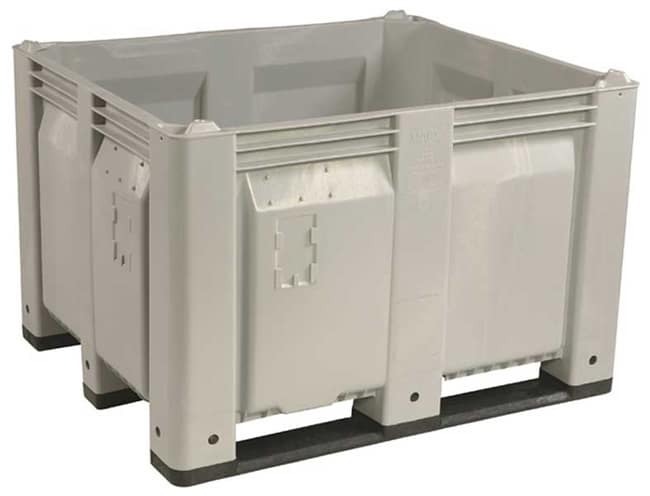 The 48×40 Field Bin is stackable and features patented interlocking corners to allow safe stacking up to ten high. The field bin meets USDA/HACCP standards for food product handling.